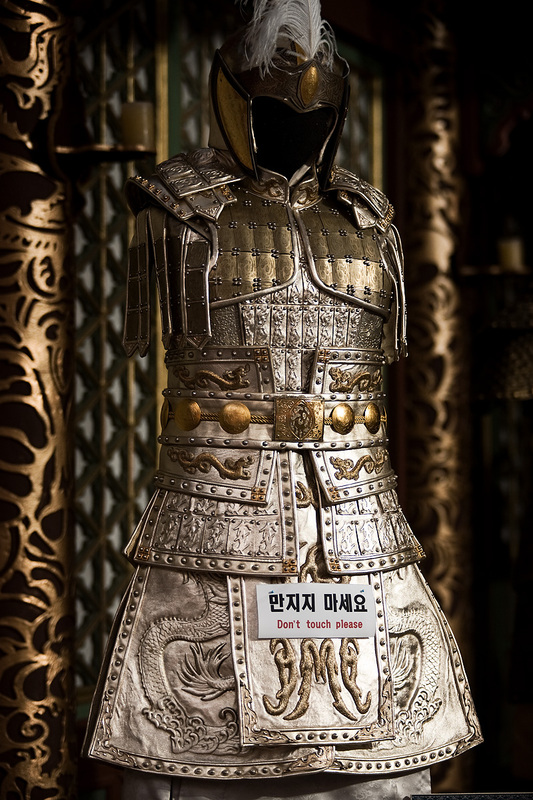 An elaborate wardrobe piece from a well known Korean film on display at Gwanghwamun Plaza. 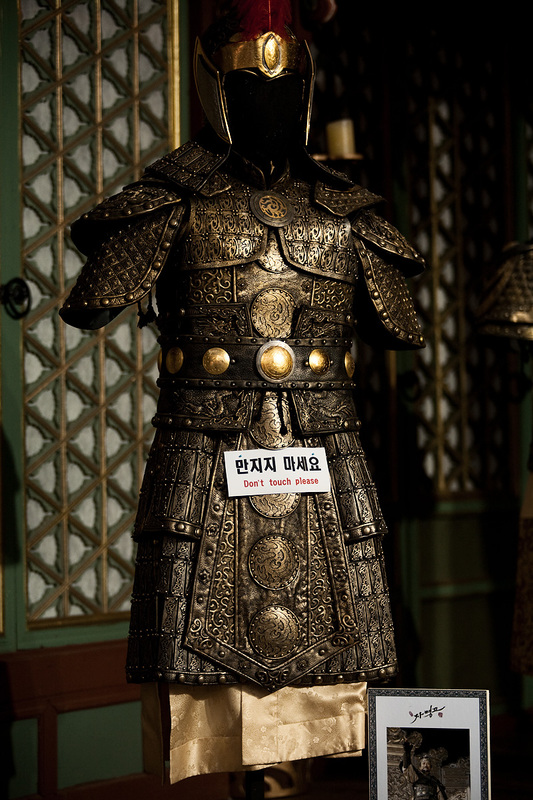 Some publicity in Gwanghwamun Plaza for the Korean film industry involving the display of movie props and paraphernalia from famous films. Call me a prude but I could've thought of at least two dozen other places I would've placed that "Don't Touch Please" sign, other than near the naughty bits. A second piece of darker armor with inappropriately placed sign as well. I wouldn't mind going into battle with such a slimming piece of life-protecting armor, particularly if it came with a handsome matching handbag and leggings. Hi, could you tell me what movie these armors are from? I am interested in creating a replica of the bottom one and would like to see the film it is in. Thanks!